Hillary Clinton is widening her lead over Donald Trump in the latest national poll averages and betting markets. After Trump wrapped up the Republican nomination a month ago, he surged into a tie in the polls and closed the gap in the markets. As Clinton became the presumptive nominee in the Democratic contest, however, and Trump appalled Republicans and Democrats alike with a racist attack on a judge, Clinton has pulled away again. 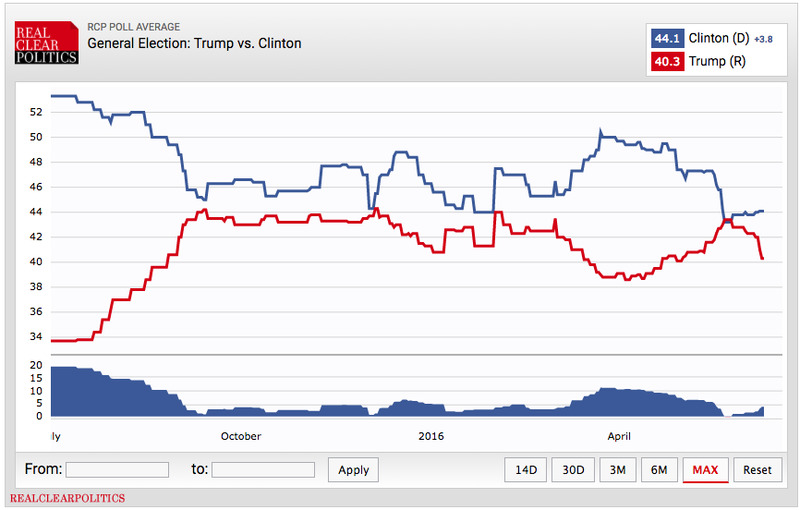 In the latest poll average from Real Clear Politics, Clinton has regained a 4-point lead. This is after losing a massive ~15 point gap at the beginning of April. 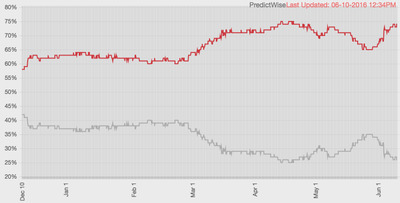 Clinton is also now again widening her lead on various betting and prediction markets. She never completely lost her advantage here, but the gap did narrow. Now, reflecting the current consensus, it’s widening again. 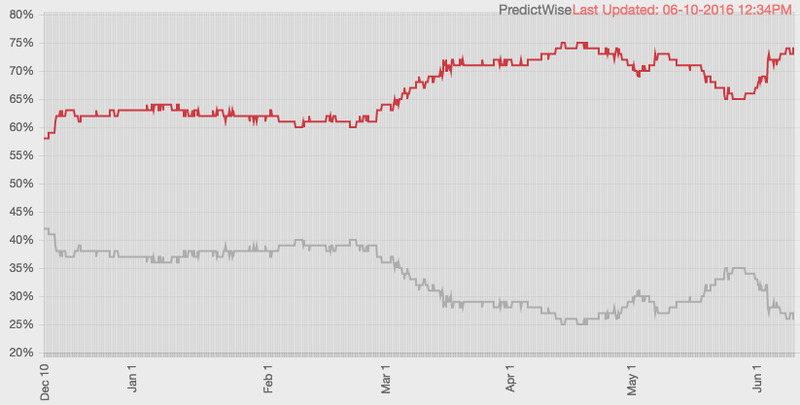 PredictWise, for example, puts the Democrats’ odds of winning at nearly 75%, close to the highest level ever.